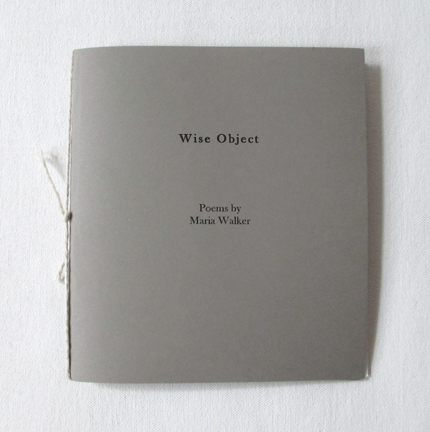 Wise Object, a chapbook of poems by Maria Walker in conjunction with her solo show, The Breeze at Dawn Has Secrets to Tell You. Copies available for purchase upon request. three slabs of wood on top.